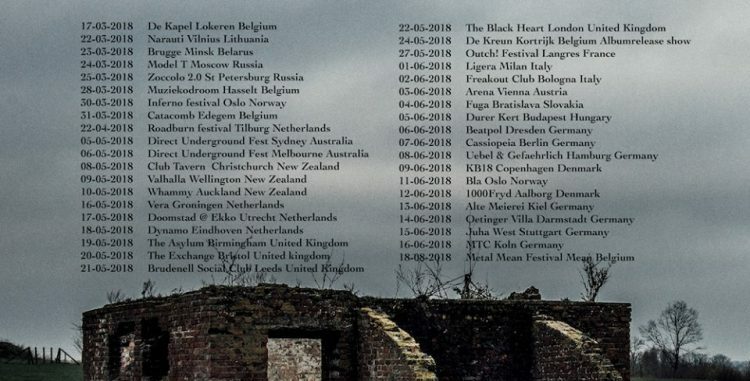 Wiegedood return with their third album, De Doden Hebben Het Goed III. This album serves as part 3 to their album series dedicated to the loss of their good friend, Florent Pevée (from the band, Kabul Golf Club). 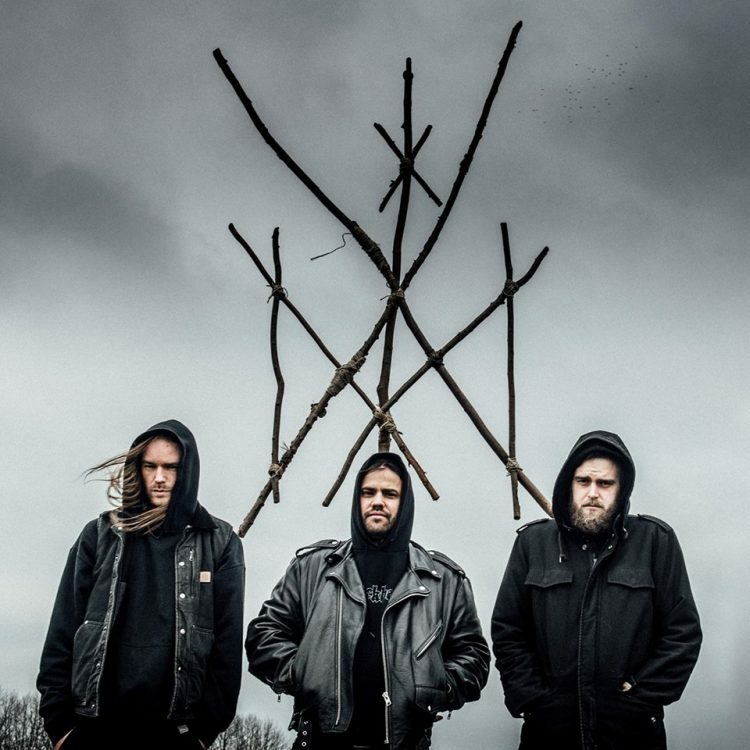 Wiegedood are a black metal trio from Belgium, consisting of members from both Oathbreaker and Amenra. Interestingly, no bass is present, therefore just the two guitars making up the sonic palette for this band. The clever interplay between the guitars ensures that a full range is covered, negating a need for the bass. I think this aspect adds to the band’s uniqueness in sound, despite the quintessential black metal moments that litter the album. 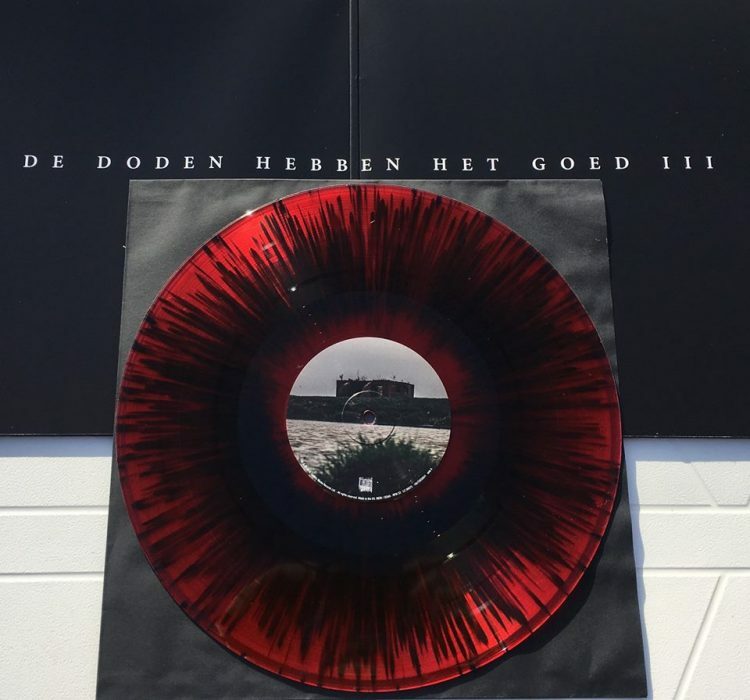 De Doden Hebben Het Goed III (translated as ‘The Dead Have it Good‘) comes just a year after their second album, serving up another acerbic collection of Black metal ferocity. Wiegedood have set the scene with their first two releases, De Doden Hebben Het Good (parts 1 & 2). The third chapter to this collection takes the extreme ends of the spectrum from past releases to evolve Wiegedood’s sound further. Like their previous releases, Wiegedood offer sheer, raging black metal that burns like a raging fire. The inferno claims all, leaving no oxygen to breathe. Like the archaic instincts from our cave dwelling ancestors, we stare into the flames as if hypnotised. 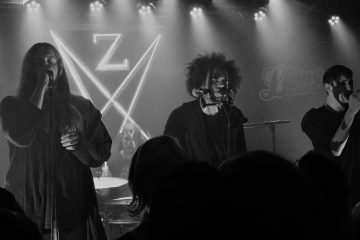 The band’s style is a witches cauldron of black metal influence. There is certainly a kinship with the Norwegian ‘second wave’ here. Similarities at certain points bare resemblance to, often a combination of Emperor, Thorns, Burzum and Immortal. Many more influences shine through on this record, portraying both light and dark, clean and dirty and a contemporary take on classic song structures. Like Wiegedood’s previous albums, the third part also has 4 tracks which on the surface, may seem short on numbers. This however, is not the case at all. Each of the individual songs are a sonic adventure in their own right. There are certainly no filler tracks to ever grace a Wiegedood album, put simply. “Prowl”, the opening track is similar in feel to the closer of their last album, titled “Smeekbede”. Aggression seeps through via the military grade attack of rhythm. 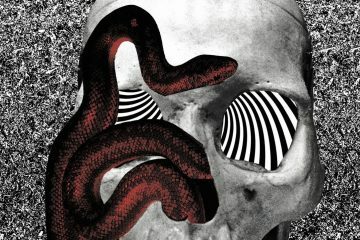 Tight, crunchy and muted guitars scrape out a menacing, sinister riff. Drums almost bring a military, marching band-like rhythm to the main groove of the verse. The whole track gallops along while the tortured, scratchy vocals bark out the sheer essence of anger and frustration. The song also boasts a fairly typical structured riff approach, yet fresh and inventive. This is one of many moments on this album that sometimes feels conventional and innovative, simultaneously. After the initial onslaught comes a desolate breakdown, leaving a guitar at first to hold the song alone. As the band re-enters the frame, an otherworldly vocal takes over. This is something fans of the band may be familiar with. It is operatic in nature, with the vocals hitting tonal depths that are inhuman, maintaining a clear power behind the delivery. It evokes the same unique sounding style from Mayhem‘s vocalist, Atilla Csihar. The whole ending section of this song feels victorious, full of fist pumping glory. Next up is “Doodskalm”, entirely different in feel with its intricate, jagged lead guitar melody that ascends and descends in a sophisticated, classical style. 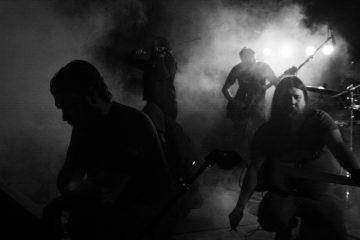 As the vocals enter, the drums launch into a blast beat that instantly introduces the hynoptic and relentless barrage that black metal fans know all too well. The following section displays a highly emotive, solemn tonal shift. Guitars search and move through melancholic harmony but never find rest as the riffs roll round and round. After a few rounds of alternating these infectious movements we embark on the mid section of the song. Again, a deserted guitar remains as the band decays into feedback. This time the guitars are clean, shimmering and glistening with galactic sparkle, and the melody they provide is beautifully tortured. The section slowly builds before an enormous, EPIC re-entry of the band follows. Drums are open, basic and driving. The tempo is slow, in comparison to the blistering verses, and it takes the song to new heights. The song ends as abruptly and suddenly as the first track. As with the previous two albums, track 3 was reserved for the title track, only this time part 3 of course. This song also being the longest, clocking in at just over 12 minutes. “De Doden Hebben Het Goed III” begins with a creepy, arpeggiating guitar part. It has a vulnerable sounding melody for the most part but always, intentionally, resolves in dissonance. Once the cycle has been established, the same riff continues in heavier fashion, a more driven tempo that is reinforced by the full band takes over. This round is repeated to provide the bulk of the song as the rusted vocals scream with dismay. It’s another example of Wiegedood’s ability to transform the familiar. As the sections reveal, repeat and evolve, the structure is brought to light. My initial notes that I take during the crucial “first listen” mention more than once that the song lengths ‘feel’ shorter than the reality. They’re interesting and engaging throughout and often feel too short. Wiegedood warp time. 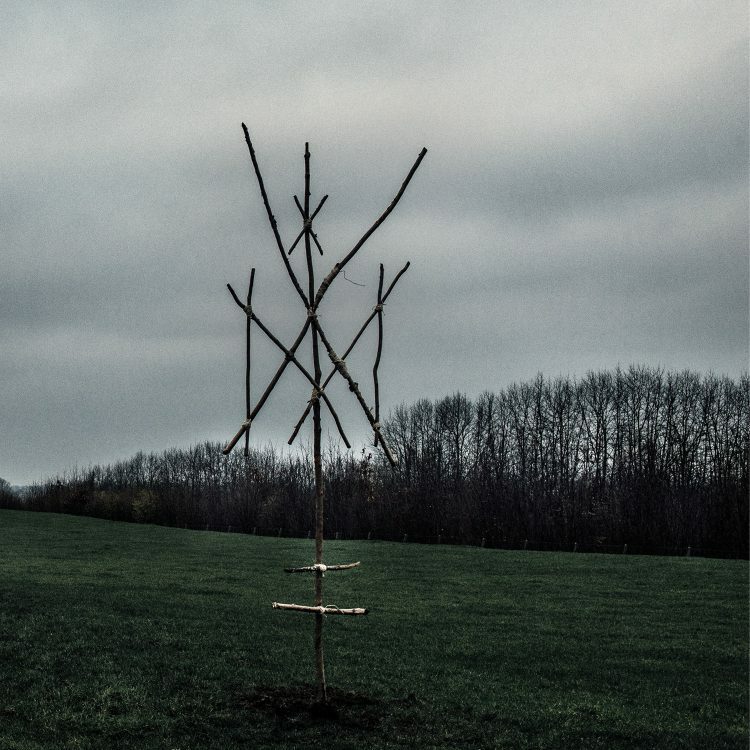 The no-nonsense approach to black metal utilized by Wiegedood is my preferred style to listen to. Like the simple Bathory/Hellhammer inspired approach championed by Darkthrone, as opposed to the more ornate, symphonic and multi-layered version, perfected by Emperor, ruined by others. Closing the album is “Parool”. Instantly, a meandering melody is picked out from the guitars to give yet more examples of the band’s deep sense of musicality and invention. Like the other songs that precede this one, it boasts flammable fury with heart felt melody, which is no mean feat. The guitars and drums are frantic and ferocious as they blaze through another venomous, teeth-gritting collection of riffs making up the core skeleton of the track. “Parool” is the shortest track from this offering at around 6 minutes long. There is more of an urgency and tension laid out across the final song. A shorter length leaves less time to develop or build on the themes, so a more immediate approach makes up for this. The closing section has an odd time signature that never leaves the listener with much confidence on where it is going and when. Both rhythmically and melodically interesting as the notes spiral up, down and across. The theme is built on, but never strays from the main idea. Rhythms from the accompanying drums and heaviness build to evolve tension and a sense of urgency. All of this points to an end destination. As with the opening two tracks from this album, the song ends in abrupt fashion to reveal the decaying reverb effect on the vocals only. Usually my next instinct is to hit play again. Every scream feels like genuine cathartic release. They take you with them as they explore vast territories of tempo, melody, harmony and aggression. Standard song lengths for Wiegedood are longer than average but this is never a problem. Repeat listens continue to reveal more depth in a way that is similar to the recordings from British band, Dragged Into Sunlight. No second is wasted on this album and nothing is dispensable. Everything here is essential. Our new record has finally arrived. De Doden Hebben Het Goed III, out on Century Media Records (from April 20th, 2018). Pictured here is the clear vinyl w black/red splatter. These are band exclusive copies, limited to 500 and only available at Wiegedood shows. The first chance to pick these up will be Sunday 22/04/2018 during Roadburn Festival 2018.